Last week I attended the Saving Places conference, an event hosted by Colorado Preservation, Inc. for preservationists all along the Front Range. The conference draws people involved in every part of the industry including construction, grant writing, advocacy, landmarking, and historic research. In addition to guest speakers and informational sessions, the conference also provides a few tours of historic buildings in and around Denver. 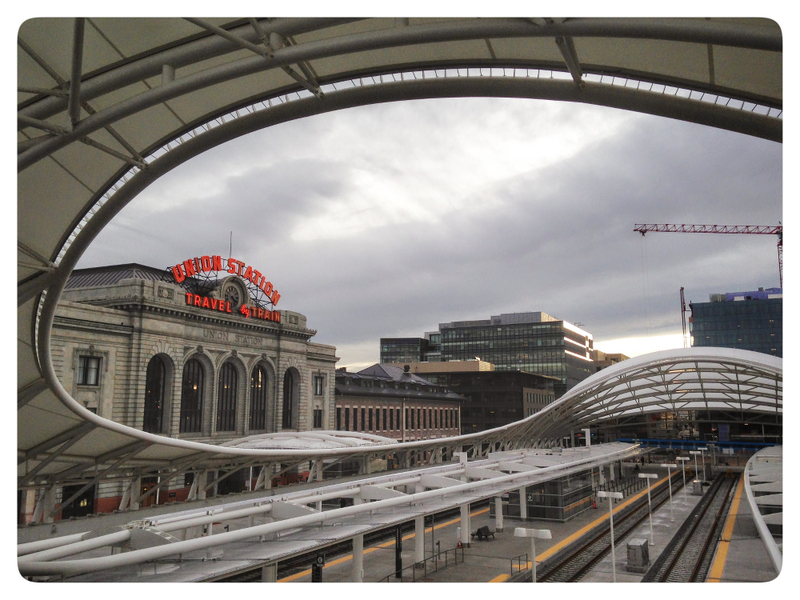 On Thursday afternoon, I had the pleasure of seeing the newly renovated Denver Union Station. As railroads came to crisscross America, each was owned by a different company, and each company was run by men with their own interests, personal connections, and stratagems for expanding the reach and profitability of their respective investments. Because of the distinct nature of these competing companies, it made sense at the time that each would build its own depot in every city where the train would stop. So a passenger who needed to transfer from one train line to another would often have to disembark, walk or hire a coach to the other station, and then continue on their way. Eventually it became clear that having one unified station where all trains stopped would provide an improved experience for passengers. It was in this spirit that “Union Stations” were built all across the country — in Los Angeles, Phoenix, New Orleans, Detroit, Atlanta, Chicago, Wichita, and many more cities both large and small. Even Pueblo built a Union Station in 1889. After suffering an electrical fire in 1894, the original Romanesque central structure of Denver’s Union Station was remade in 1914 into theBeaux Arts style building that we see today. Though built on the edge of town, the city quickly came to grow up around the station which provided a focal point for much of the activity in the area. In the 1920s and 30s, up to 80 trains a day were passing through the station. Many famous people have traveled through including Theodore Roosevelt, William Taft, Franklin Delano Roosevelt along with Eleanor Roosevelt, Harry Truman, and Queen Maria of Romania. Over time, the interior walls of the station had received multiple coats of paint, often covering up or hiding some of the finer details of the building. The 8 foot wide chandeliers were taken down and replaced with hanging fluorescent lights. 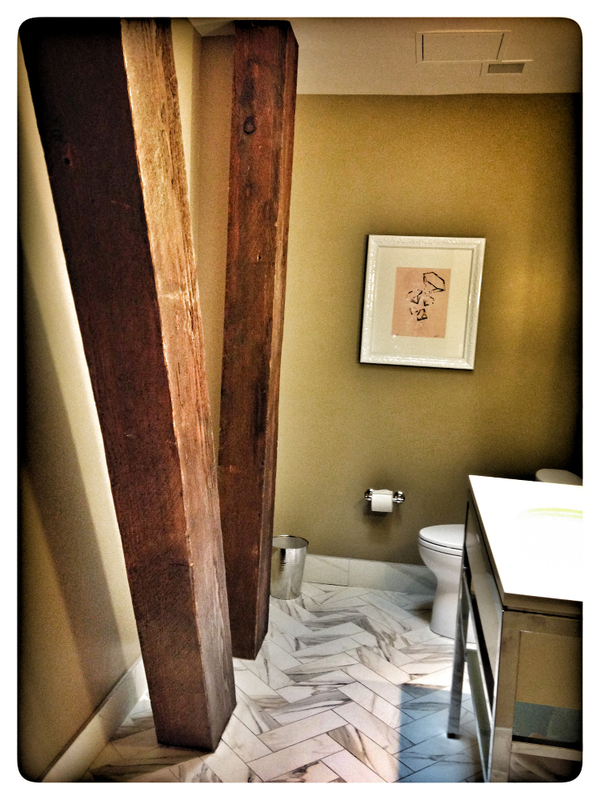 And the constant flow of passengers between the heavy wooden seating had left deep grooves in the floor. 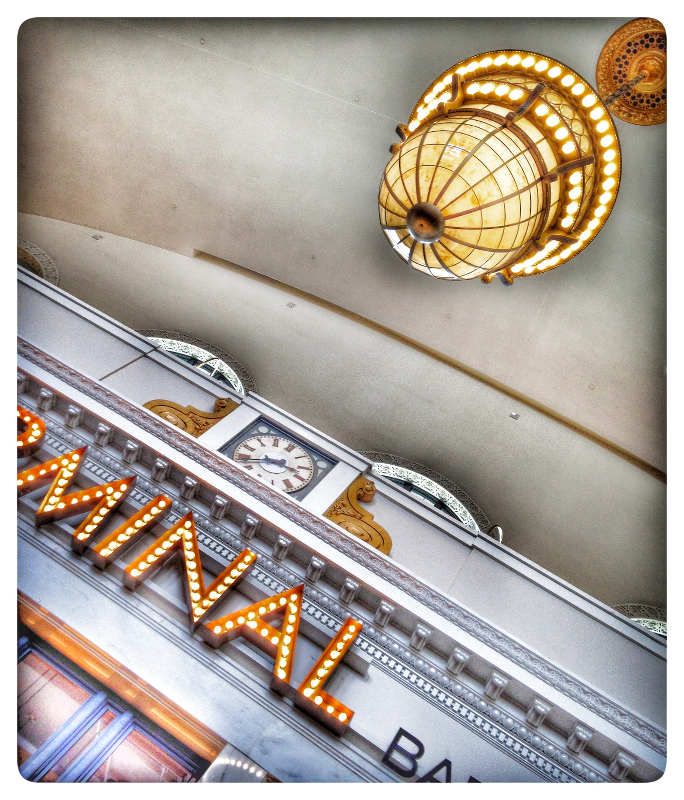 Union Station has recently undergone an extensive renovation and was reopened to the public in the summer of 2014. 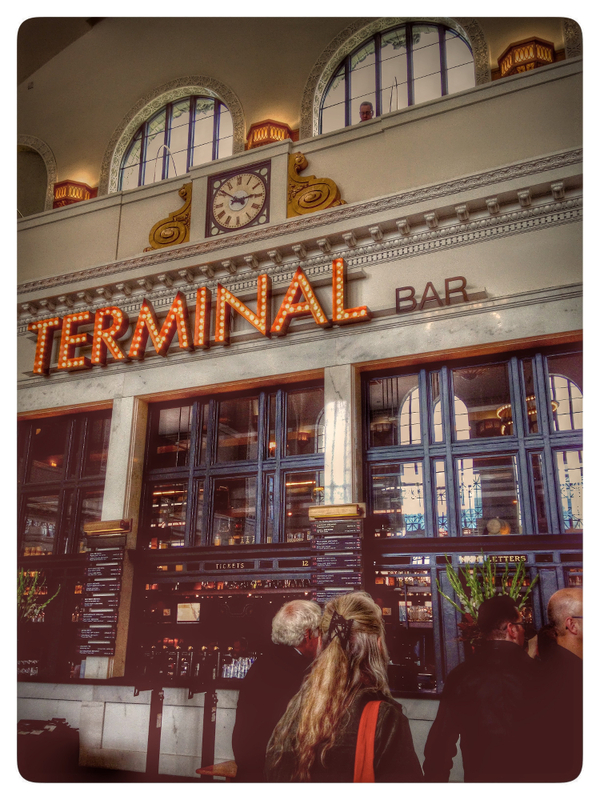 In addition to being a transit center, the building hosts several restaurants and bars as well as the Crawford hotel, named after Dana Crawford, who was instrumental in orchestrating the improvements that have been made. The fluorescent lights in the main hall have been replaced with beautiful chandeliers that mimic the originals, though they’re larger and have exterior bulbs that increase the overall light they put out. The old wooden seats had to be removed because years of venting heated air between them had layered with with asbestos dust that was expensive to remove. Only a few of the original rows of seats were cleaned and reinstalled in the station. After seeing examples of each of the types of hotel rooms, we were taken along a section of building that looks out over a couple of the restaurants. There we could see some of the original supporting columns, a few with their original capitals (the fancy bit at the top). It is clear that, as much as possible, the distinctive features of the building were left visible for visitors to enjoy. But there’s also a sense that the use of the building has been maximized in order to create a vibrant, active hub. 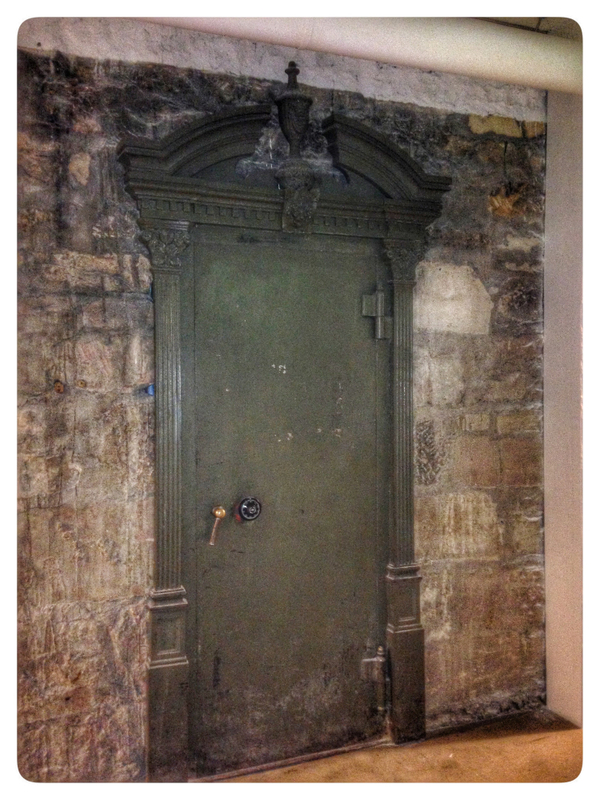 The stone foundation is clearly evident in the basement where I came across this gorgeous old door. Based on the lock, I presume it leads to a vault. Of course, the chief purpose of the building is as a depot. 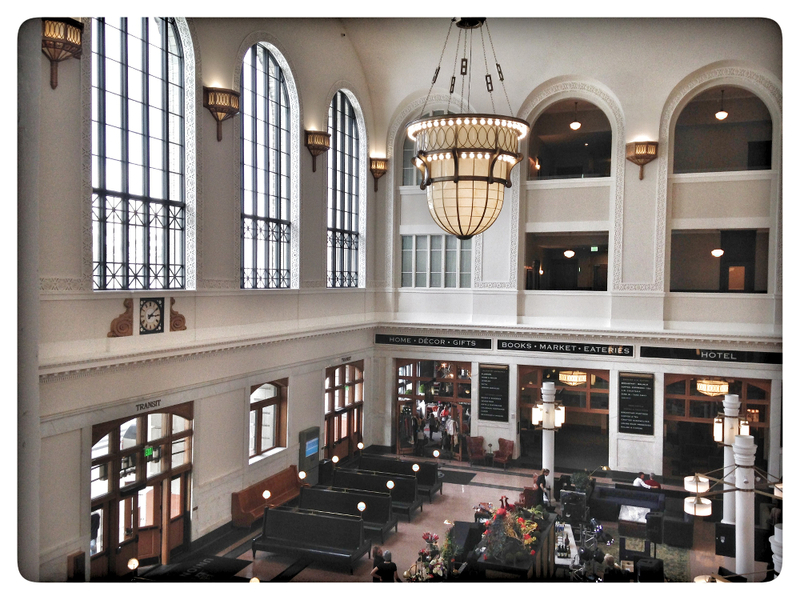 While many depots across the United States have been adaptively reused as restaurants, museums, and other non-transportation related tasks, the Union Station continues to operate as a destination for travelers, and there are even plans to increase service, including a regular direct line between the depot and DIA. 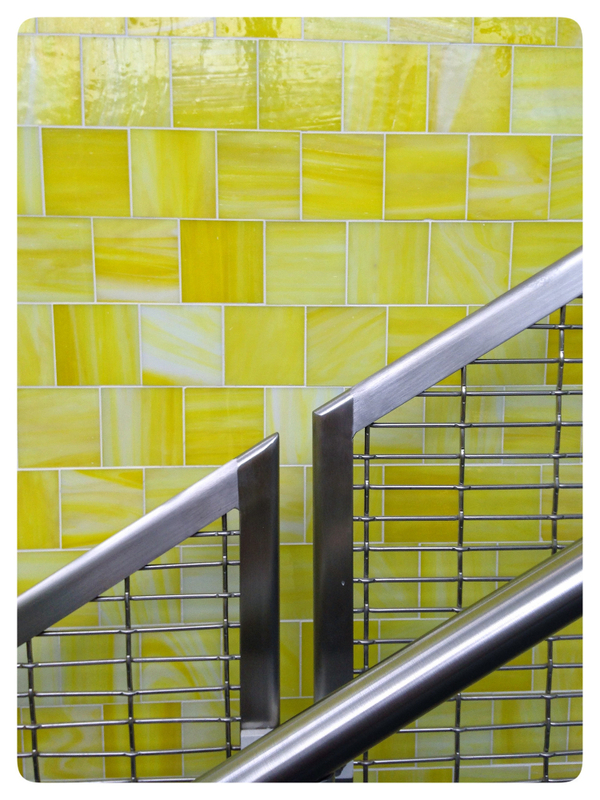 As I wandered over to where the trains and buses stopped, I came across this beautiful yellow tile. Though it’s most likely not historic, I still enjoyed the contrast it made with the metal hand railings. 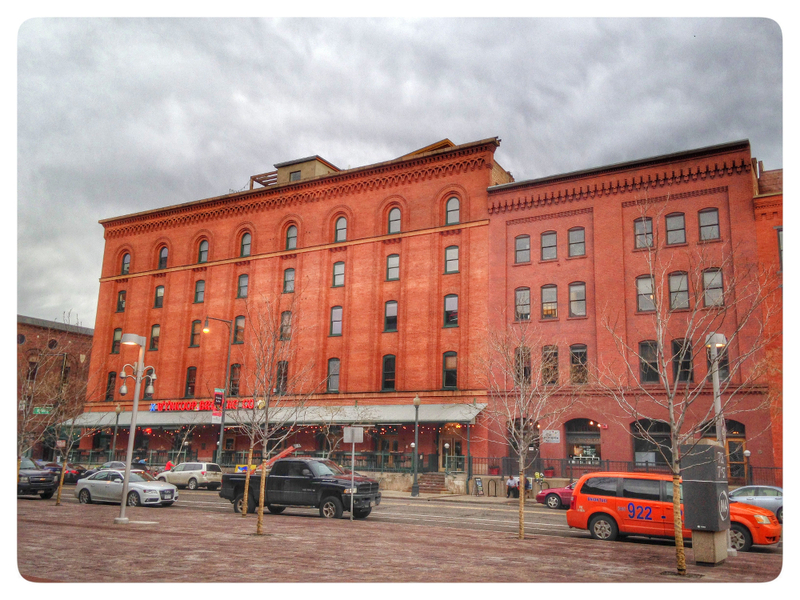 Just across the street from the depot is the Wynkoop Brewery, a trend setting business that led the way in restoring activity to this part of town. 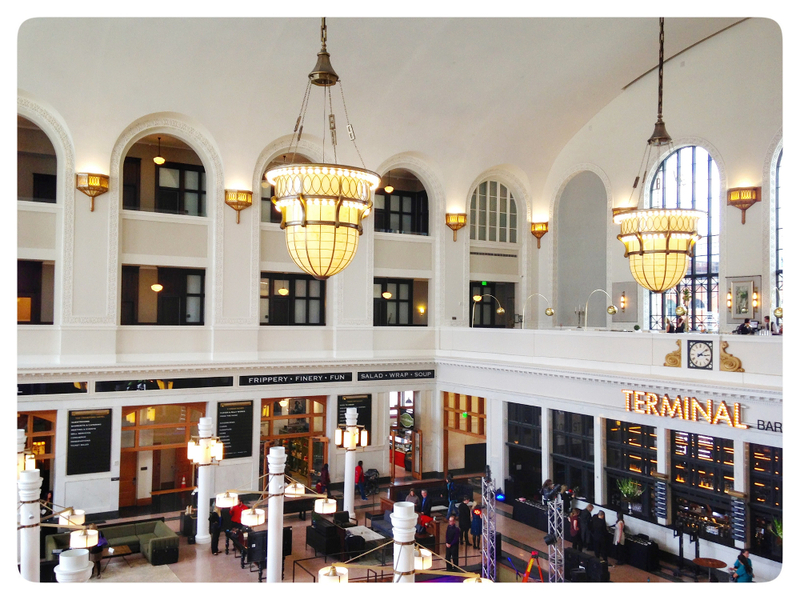 Visiting Denver’s Union Station is like taking a walk back in time. Though I’ve shown many of the historic details here, there’s still far and away more to see, including the original blueprints for the building which are posted along one stairwell, and bits and pieces of detritus that were found between and beneath the old wooden seats in the main hall and which are now framed and hung on the walls to be perused by passersby. If you’re interested in a tour of the station, they are given through the hotel and are $20 per person. That includes a drink from the Terminal Bar. And if you’re not up for paying for the walking tour, there’s still quite a lot that you can see simply by wandering into the main hall and strolling up some stairs and down some halls. So the next time you’re in Denver, consider taking a little time out of your visit to get a look at the truly remarkable job that has been done in restoring this Colorado treasure. Although I took all of the photos that are included here, I’ve pimped them out a bit using Google’s Picasa editing tools. The story of the station was relayed during our tour, but I’ve also used the timeline from DenverUnionStation.org to be sure of dates and other details. There is a list of “Union Stations” on Wikipedia, from which I collected the names of several big cities to include in this post. Great post Meg. Kathy and I have made numerous visits to Union Station over the years and during renovation. 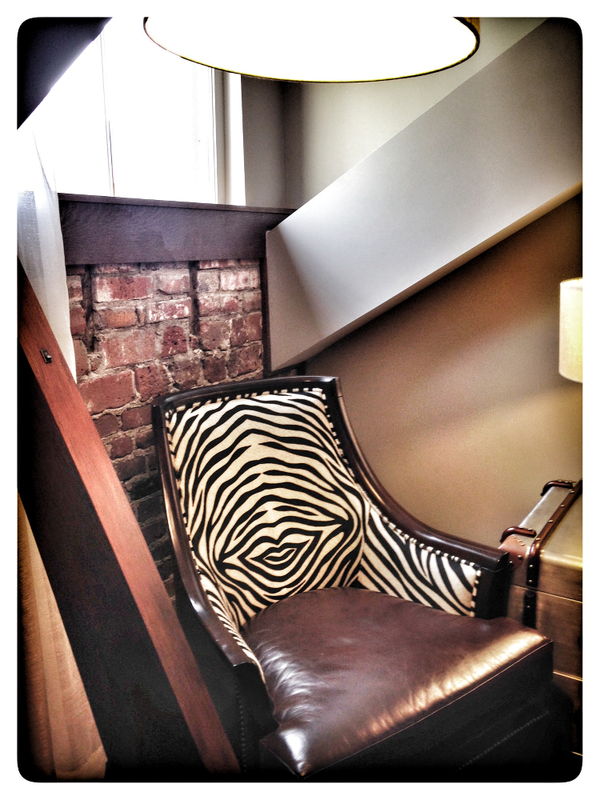 Like everyone, we had to look from the outside; however, we enjoyed a self tour the day before the Grand Opening. Looks like we will schedule the official tour soon.